Start your holiday shopping early with these great DEAL$! 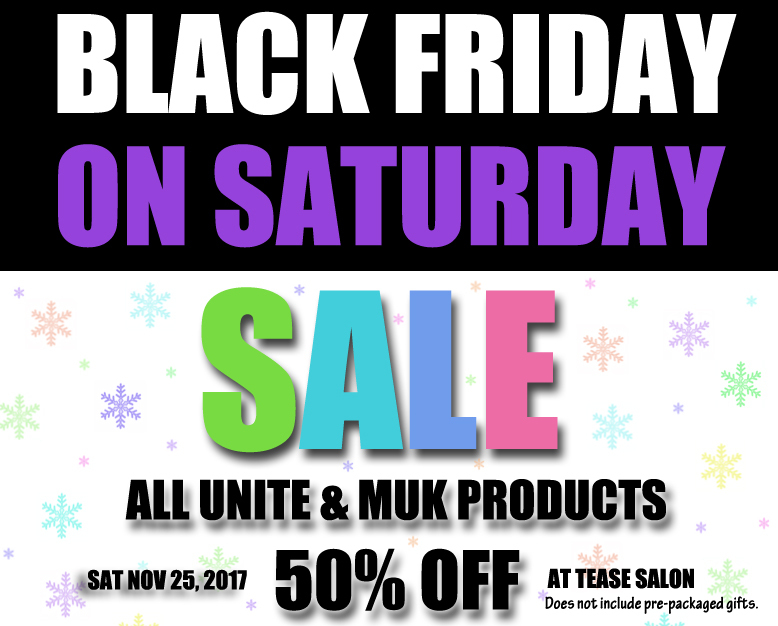 All UNITE and MUK products 50% OFF for ONE DAY ONLY – SATURDAY 11/25/17. Keep your eyes peeled next month for our gift card sale…starts FRIDAY DEC 1, 2017. We are closed Thursday Nov 23 & Friday Nov 24 for Thanksgiving. We will be back in the salon on Saturday Nov 25 at 9-3pm.